No more hassle of reporting water leakage incidents in India. Trusty Water, a mobile app (available on Google Play store http://bit.ly/2a2ji1I ) assists finding trusted partners in rectifying your problems. Sipping filtered city water to show it’s again drinkable, President Barack Obama promised Wednesday to ride herd on leaders at all levels of government until every drop of water flowing into homes in Flint, Michigan, is safe to use. Our Viewpoint: It is great to note that the president himself tasted the water to assure the quality of water and give confidence to the public for the corrective measures. When any leakage occurs, the immediate reaction from the water management authorities is to quote the pipeline age and find temporary corrective measures. It is not an easy task to replace the failed systems with all brand new assets. Huge investment is involved in this process. Corrosion of materials is one of the leading causes for water pipeline leakage and contamination. Utility management has the misconception of using corrosion induced pipeline weak spots as pressure relieving points to maintain the pressure within the distribution network. Frequent leakages indicate that the materials were not properly selected and no comprehensive corrosion control program is in place. Simple selection of materials based on the current practices followed for other projects does not solve the purpose. 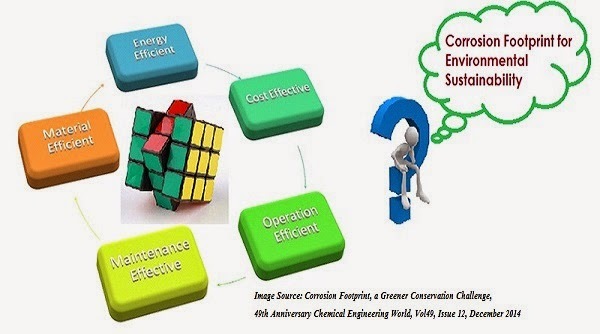 Specific testing and life cycle analysis have to be carried out to find cost-effective material answers. It is difficult to find the installation of proven materials and associated corrosion control measures that minimize the maintenance load and assure the integrity of assets. Corrosion awareness among the utility designers and water management authorities is very limited. There are numerous incidents of corrosion induced water leakage and contamination reported in our country (India). Now is the time to learn from failures and create job opportunities for filling the gaps in the design, operation and maintenance of water distribution networks. We need to turn Water Rust to Water TRUST in India. FLINT, MICHIGAN/DETROIT – Sipping filtered city water to show it’s again drinkable, President Barack Obama promised Wednesday to ride herd on leaders at all levels of government until every drop of water flowing into homes in Flint, Michigan, is safe to use. He promised residents that the aging pipes that contaminated the water with lead will be replaced, but cautioned that the project will take time. “It’s not going to happen overnight, but we have to get it started,” Obama told hundreds of people gathered at a high school. Obama spoke after he was briefed on the federal response to the water contamination and had met privately with nine residents. Obama said he understands why people are scared and angry and feel let down. He said what happened in Flint was a man-made disaster that didn’t have to happen. But he said it did happen and everyone must now work together to fix it. He called providing safe drinking water a basic responsibility of government.